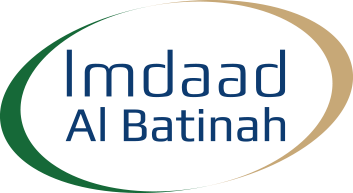 Electrical, Mechanical, Drainage, Water Systems, Civil Works, and Infrastructure. Waste Management, Recycling, Pest Control, Wastewater Treatment and Management, Infrastructure Cleaning and Maintenance, and Lake Cleaning. Semi-Automated Material Recovery Facility Capable of Treating up to 1,200 Tons of Waste per Shift. 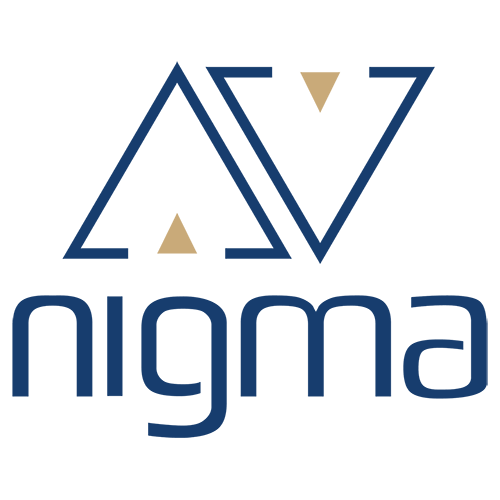 Housekeeping, Cleaning and Janitorial Services, Water Tank Cleaning and Disinfection, Façade Cleaning, and Manpower Supply. 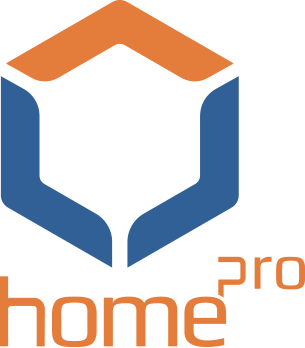 24/7 Home Maintenance including MEP, Painting, Renovation, Garden Maintenance, Swimming Pool Maintenance, Water Tank Cleaning, Pest Control, Garage Door Maintenance, and Facade Cleaning. 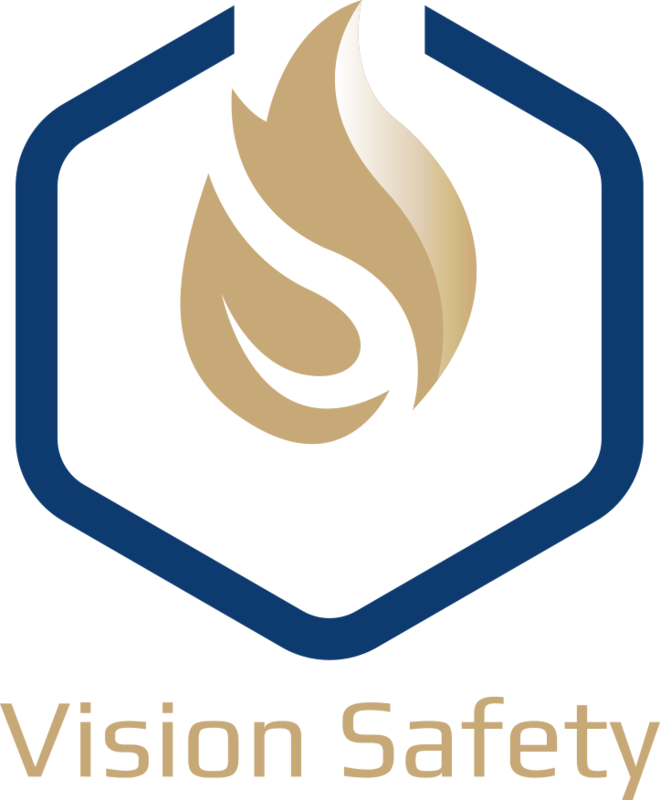 Surveillance Systems, Fire Detection Systems, Emergency Lighting Systems, Water Mist Systems, Gas Suppression Systems, Fire Fighting & Sprinkler Systems. Installation and Maintenance of Traffic Barriers, Paid Parking Systems, Elevators, Access Control Systems, Sliding Doors, Sectional Doors, and Roller Shutters. We provide a comprehensive range of environmental services at a large scale and up to the highest standards. 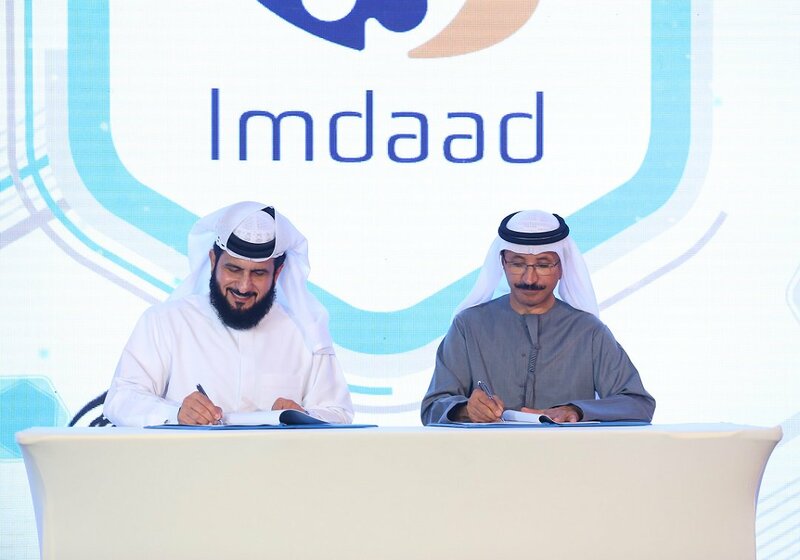 With over 2,000 clients serviced including some of the major property developers, shopping malls, leisure and hospitality facilities, Imdaad guarantees consistency, reliability, and sustainability. As part of our commitment to being an advocate for environmental sustainability, we have marked #EarthHourDubai 2019 with a series of activities. In honour and support of the world’s largest grassroots movement for the environment, we have switched off lights and electronic appliances between 8:30 pm and 9:30 pm on 30 March 2019. 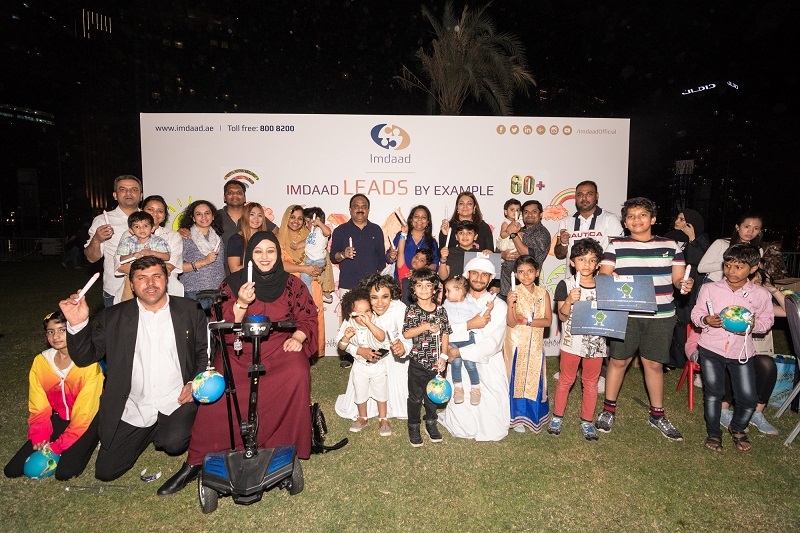 In addition, we have participated in Dubai Electricity and Water Authority’s (DEWA) ‘Earth Hour Walk’ that took place from 4 pm to 10 pm between Marasi Promenade and Marasi Business Bay, with a range of fun-filled activities for the entire family. 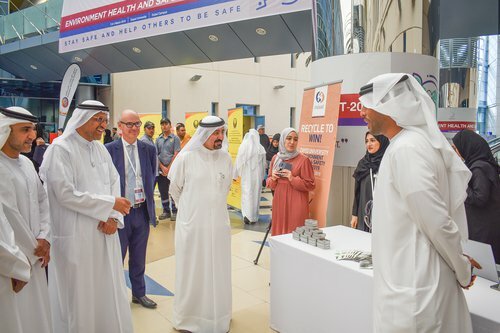 We had the pleasure of participating in the Environment Health and Safety Event and Campaign organized by Zayed University with the objectives of raising awareness, sharing knowledge, and instilling a culture of environmental health and safety among staff, students, and faculty. 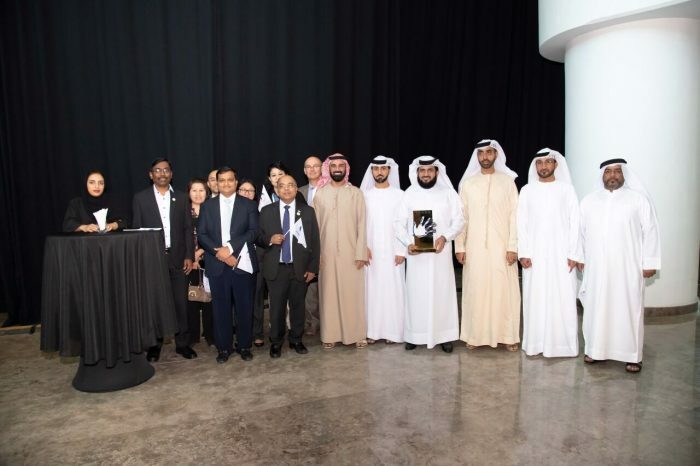 We joined hands with our partners at Trakhees, the Department of Planning and Development, to showcase our environmental services and recycling solutions. 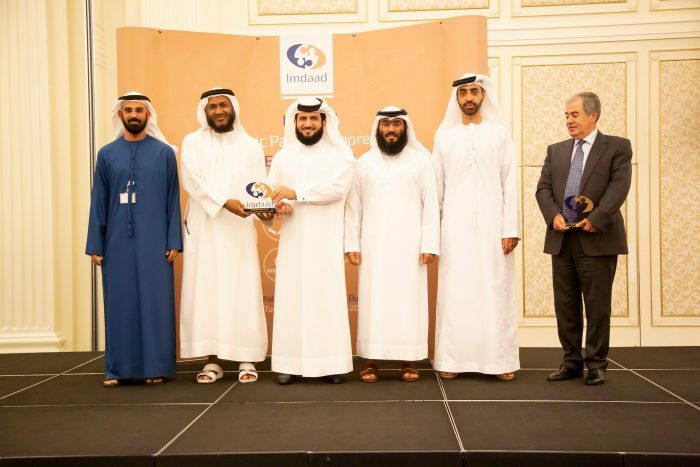 We were visited by Prof. Reyadh AlMehaideb, Vice President of Zayed University and we had the pleasure of receiving a certificate of recognition for our contribution to the campaign. 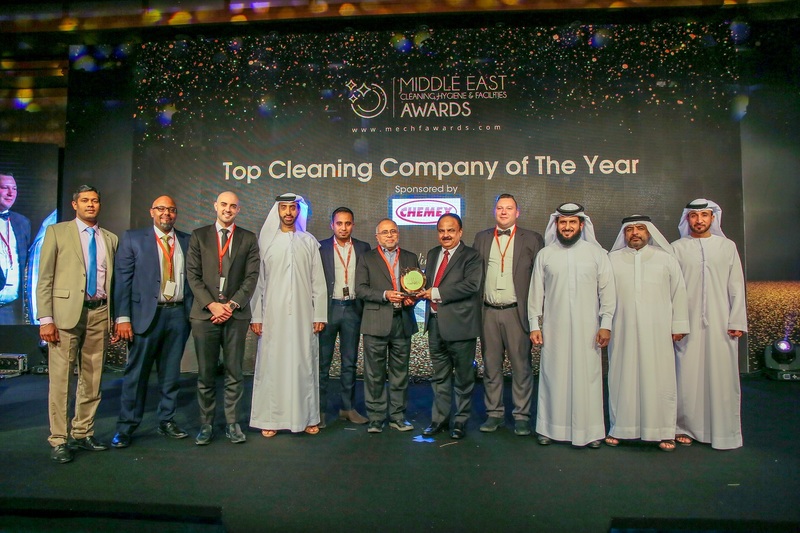 We also ran a Recycle to Win competition for students, staff and faculty with a unique prize of a one night stay at the Queen Elizabeth II Dubai. 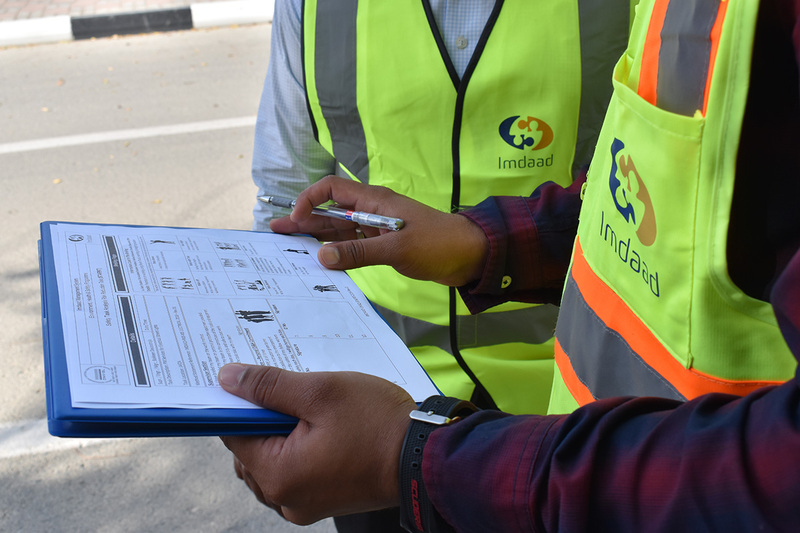 The Health & Safety Initiative at Imdaad, branded STARRT (Safety Task Analysis Risk Reduction Talk), was introduced in 2018 to minimize employee accidents and incidents while working in high-risk areas. 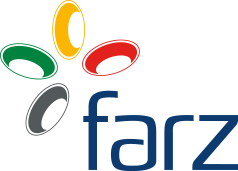 Given the complex portfolio of clients and locations that Imdaad caters to (e.g. ports, lakes, high-rise towers, etc. ), employees are exposed to high-risk areas such as heights, roads, and near water works. 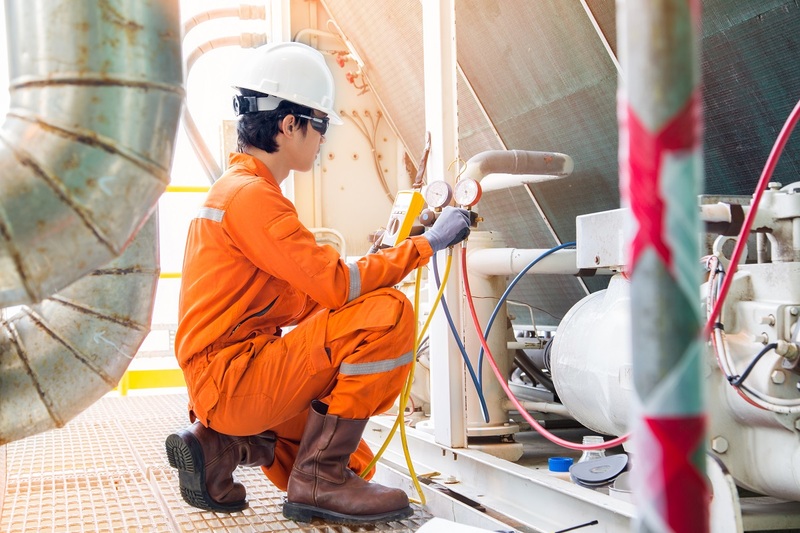 Traditionally, Facility Management companies have followed preventative maintenance programs. These allocate a time period or amount of usage to a piece of equipment. At the end of this period of time, or after the usage limit has been hit, the equipment is attended to and predefined preventative measures are undertaken. Examples might be replacing air filters and inspecting fan belts monthly. 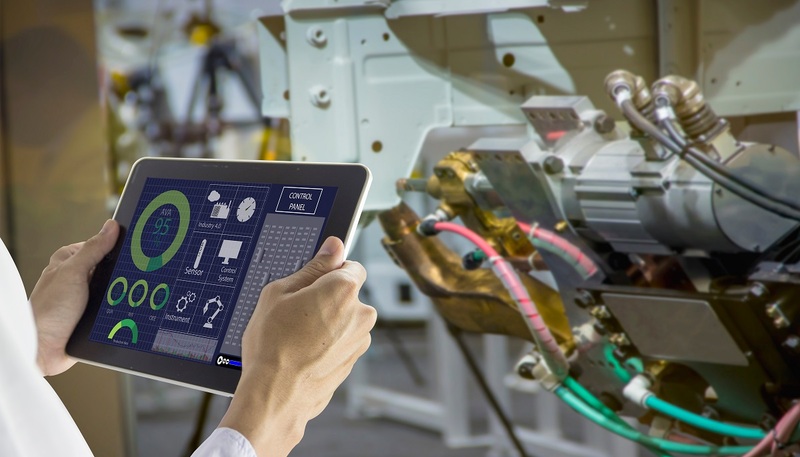 As with other industries, technology has already greatly impacted Facility Management and how we approach it. 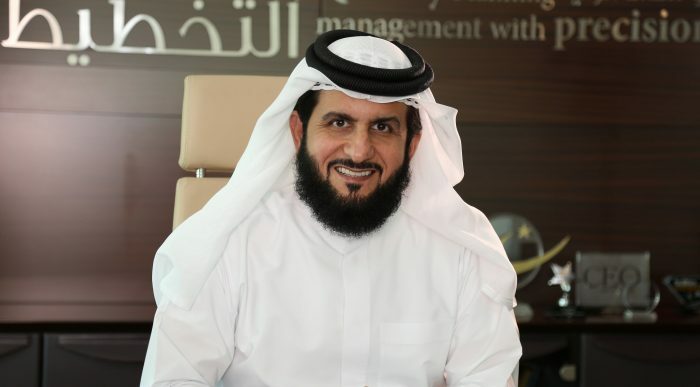 In particular, the growth of Computer Aided Facility Management (CAFM) and how it has adapted to the increasing importance of the cloud and mobile have been key developments since the turn of the century. 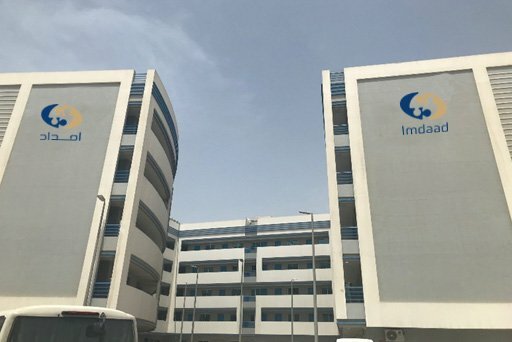 Following a decade of experience in the oil and gas industry, Asma was looking for something more challenging in her career and that’s how she found her way into Imdaad to work as the Associate Director of Procurement. 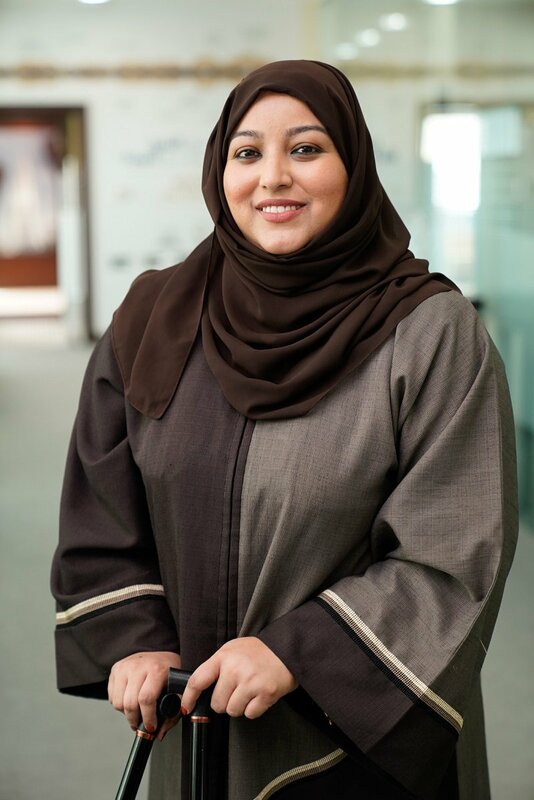 Asma is one of few Emiratis in leadership roles in the facilities management industry. She holds a master’s degree in Business Administration with a focus on Leadership, as well as a bachelor’s degree in International Business and Economics. 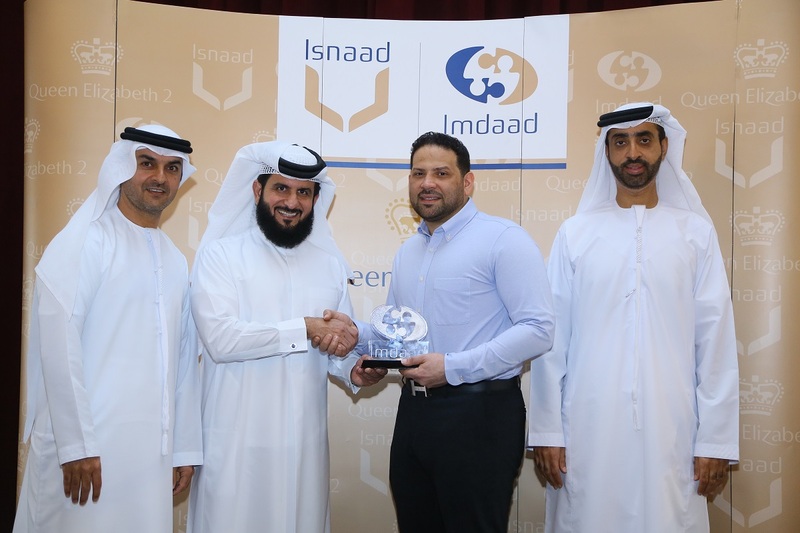 Imdaad is an innovation-driven leader in the Integrated Facilities Management (IFM) and Environmental Services industry, with a client portfolio that includes some of the most prestigious developments in the region. 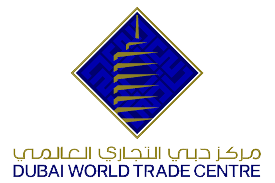 The group maintains more than 1000 buildings in the UAE and GCC, including entire communities, seaport free zones and other specialist projects. 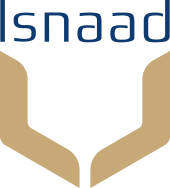 We would like to express our appreciation to Isnaad Facilities Management services for the great level of services rendered to the stadiums during the Asia Cup 2019 which significantly improved the image of the venues.